If you've been a gamer, especially a Nintendo gamer, for any length of time, you've likely heard what some like to call Shigeru Miyamoto's "cave story"--the one in which the legendary designer details how he, as a youngster, spent time scouring a small cave near his childhood home in Sonobe, Japan. 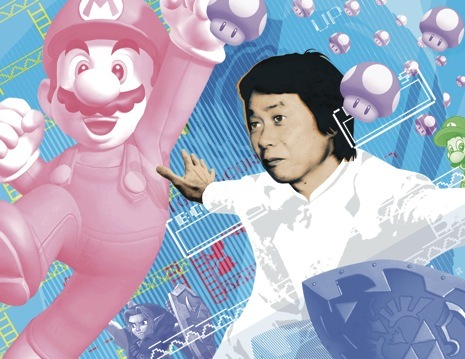 You've also likely played the Nintendo-published video games that resulted from Miyamoto's summertime spelunking--namely Super Mario Bros. and The Legend of Zelda. Miyamoto's cave story--along with the above-mentioned games--serves as the heart and soul of Nick Paumgarten's recent profile (in The New Yorker) of Nintendo's "playful public face." If you have any interest in the man--or, honestly, in the history of video games in general--I highly recommend reading it (here) when you have a few minutes to spare. Also, check out this short follow-up piece, in which Paumgarten searches for the caves that inspired the man who has become, in my mind, the world's greatest game designer. I may have to do that. I've got some time this weekend, I think...after Christmas shopping and other junk.